The Aqua series are equipped with “Aqua Soles” for excellent traction and fast drainage. Light, flexible and durable. They are perfect for all your water and outdoor sports and activities. The Active series are equipped with anti-slip soles which has an excellent grip force on the road and water surfaces. Upper: As a quick-dry DR knit LT Spandex, it can be stretched into 360 degree and no trouble in any water or outdoor activity. Water repellency and fast-dry function makes it worry-free for odour. Active-sole: 2-color rubber anti-slip outsole. 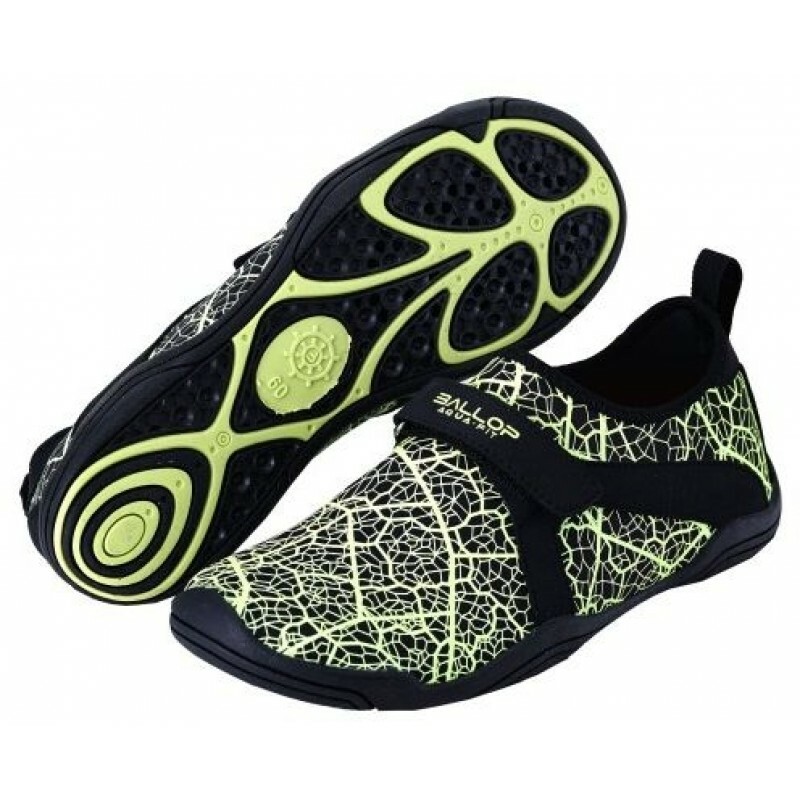 Aqua-sole: 2-color rubber sole with wire mesh drainage holes for fast drainage and quick dry; Octopus suctions cups for excellent traction on wet surfaces. Heel intension holds heel tightly during activities and increases the durability. Insole - EVA with POLY-MESH with soft cushioning and drainage functionality. Textile 3-D printing, materials and parts passed REACH TEST for being non-toxic and eco-friendly. Some styles come with djustable triangle velcro fastening. Elastic opening and streamline fit help keep the sand out.